Thanks to Stan Laundon, we've finally made it to his extensive collection of '60s bands in the north east of England. Visit his brilliant web-site at the following link and then select Cyclones from the side-bar. At several of our gigs in the recent past we’ve had the pleasure of featuring Dougie Wright on drums. Dougie is something of a legend in the music business. His residency with the John Barry Seven and featuring on literally thousands of recordings as a session musician established Dougie throughout the business. He claims around 70 top twenty hits of the 60s and 70s including multiple number ones. 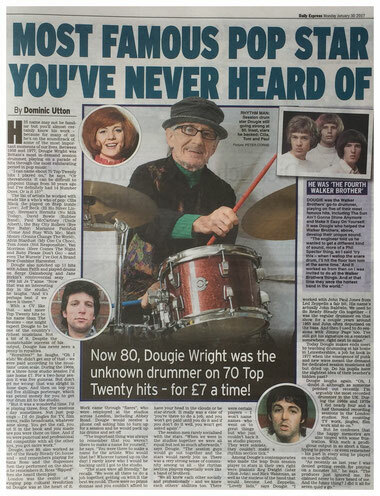 In 2017 Dougie turned 80 and to celebrate has featured in a full page Daily Express article of 30th January 2017, and interviews on BBC Radio 2. The article provides a good deal of his remarkable back story. We look forward to our next gig together. 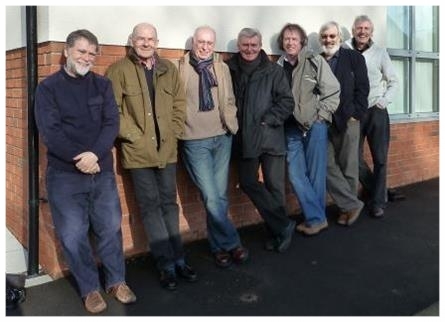 All 70th birthdays now celebrated bringing the average original band age to over 70 years! 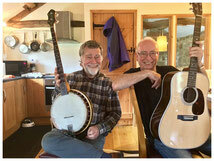 Cliff & Geoff decide to go Country! Our original alma mater - Grangefield Grammar School, Stockton - demolished! The band celebrated 55th year without major crowd incident! We finally perfected Hey Jude! Geoff finally learns to play the guitar! Originally bought from a scrap-yard in South Bank, Teesside, our 1960s band transport was a Bedford Dormobile, registration KNL 544, and in a fetching shade of blue. 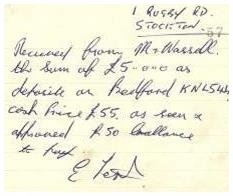 Sadly no photographs of the vehicle still exist and the enclosed is as close a replica as can be found, together with the original receipt for the £5 deposit towards the total £55 price. Our van had one very distinguishing feature and that was a pair of bright red car horns mounted just below the windscreen. Very cool! The Dormobile was not the most reliable form of transport, especially late at night driving back from a gig in Redcar along the trunk road around Middlesbrough. It also suffered extreme lipstick decoration while parked up outside several gigs. Despite all that, together with lots of driving assistance from our long suffering fathers, KNL 544 became a valued and (almost!) loved member of the band until its final demise on returning to whence it came – the scrap-yard! performing activity around 1963 many of our regular venues were various pubs around Stockton-on-Tees – and we were all underage! Two of the most frequent were the Brunswick, arguably then one of the roughest in the town, and the Sun Inn, right at the north end of Stockton’s High Street. As can be seen from the enclosed shot taken from Google’s StreetView, the Sun Inn is still happily in business to this day, unlike many of the larger pubs in the centre of the town. In fact today it remains the venue for the Stockton Folk Club, so music lives on in this very homely pub, famed for its pint of Bass. exit from the far end of the room where the band would be stationed was straight through the middle of the audience – never the best arrangement when things might take a nasty turn! Nevertheless we have many happy memories of the Sun Inn and it’s great to see another generation enjoying the same venue to this day. Perhaps the most misleading book title possible! 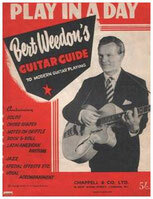 Despite that there can be few who managed to learn a chord on the guitar in the 60s and didn’t possess a copy of Bert Weedon’s book. Most of course wanting to believe the book’s title! We certainly had our copies. Sadly no longer though, especially as the earliest editions are now something of collector items! Sadly Herbert Maurice William 'Bert' Weedon OBE passed away in April 2012, but left an enviable legacy of budding musicians. 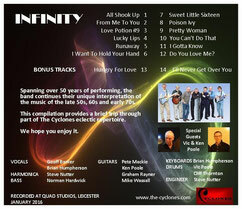 instrumental and vocal, echo was an essential ingredient. 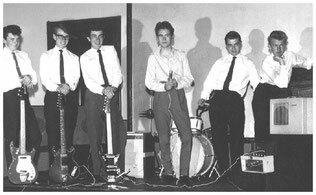 Around 1963 our amplification consisted of a home-made Linear amp and speaker cabinet and hired Watkins Dominator and Westminster and Selmer-Truvoice amps. On very special occasions we would also obtain an echo unit. The accompanying 1963 photo shows all three types of amp and, at the front, lower right hand corner, the echo unit. Having always assumed this to be the famous Watkins Copicat unit, an amazing discovery from this photograph is that it actually was a Selmer-Truvoice Model 200 Echo Unit. Launched around 1960, this unit, like the Copicat of the time, had three record heads, a playback head, a demagnetizer and a continuously rotating loop of recording tape around 20inches in length.The source (guitar or microphone) was plugged into the unit and the sound recorded on the tape and played back multiple times – thus producing the echo. It was then erased on its way back around the loop. Fed through the amplifier, variations of the level and duration of playback produced quite amazing results. "A Full Orchestra at Your Fingertips"
venue to venue a constant problem was providing a keyboard for Brian’s talents. Before the days of electronic keyboards, the resident piano would come in all shapes, sizes, quality and tuning. The best we could do was to insert a microphone and hope! existing piano keyboard meant that the authentic Jerry Lee Lewis sound could still be achieved! occasions we used the Clavioline it both failed to meet its promise and proved an unreliable step too far. With the patience and time we never had perhaps it could have been different. Certainly the Tornados managed to achieve some fame with the product on their recording of Telstar, reaching No 1 in 1962. 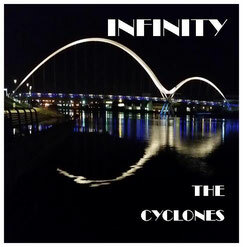 If we were to name the greatest influences on the Cyclones choice of music, then the obvious answers would lie with many of the Rock n Roll and R&B greats. And in the more “modern” era, perhaps the Beatles and others. However an LP that arguably had the most immediate impact and our great admiration was“Bobby Vee Meets The Crickets”. Released in 1962 after the death of Buddy Holly in 1959, many of the tracks reflected both R&B and the music and style of Buddy Holly. To this day we continue to play, and attempt to master(! 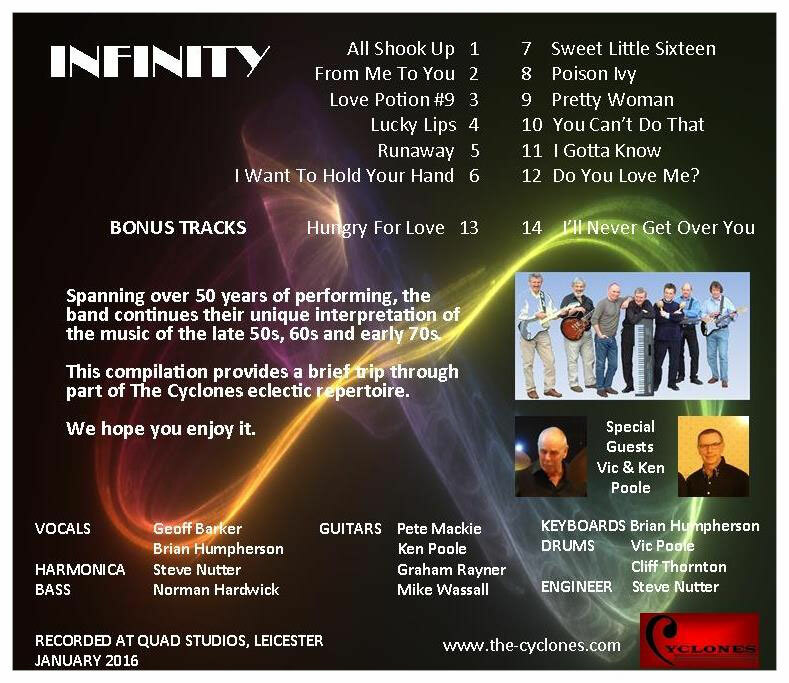 ), several of the songs from this album. For any newcomer to this music it is heartily recommended listening.